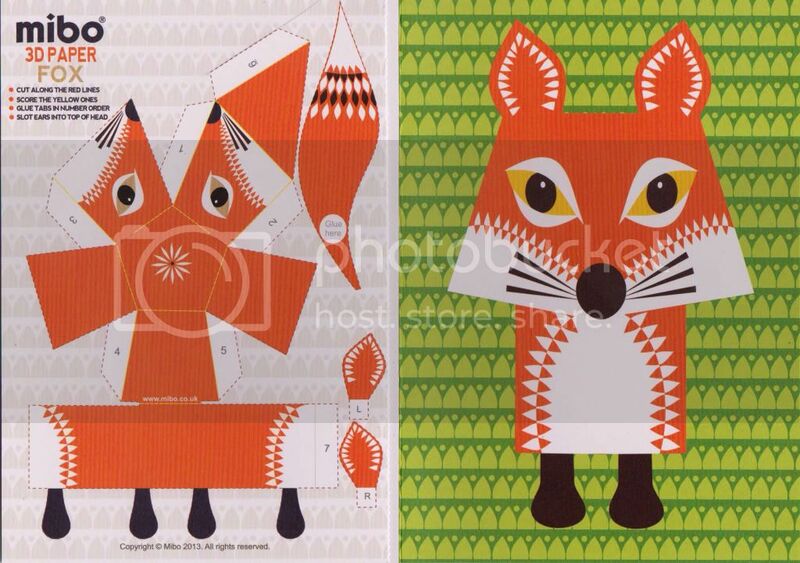 On Monday I did one of my favourite things and visited the Spring/Summer preview at Top Drawer with the lovely Polly. It was only a short visit, but enough time to inspire us. 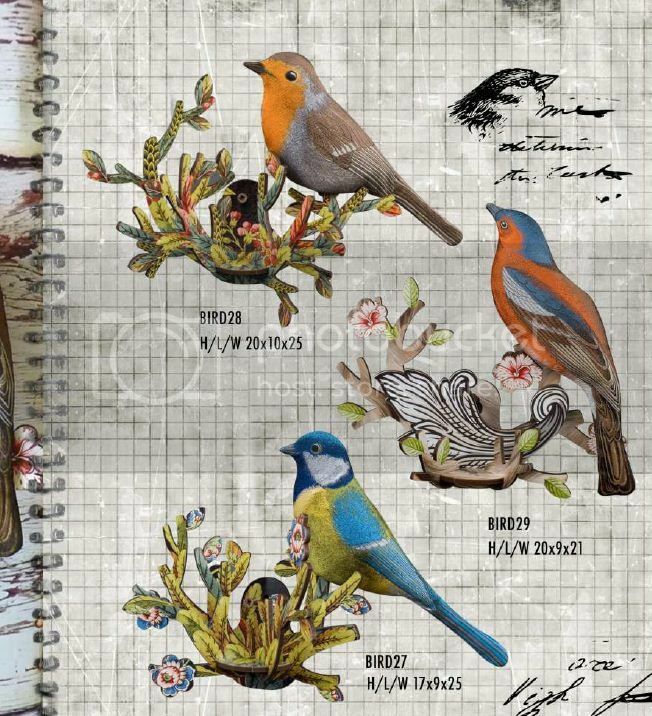 Mibo are a small company that create products with the cutest animal designs on them. 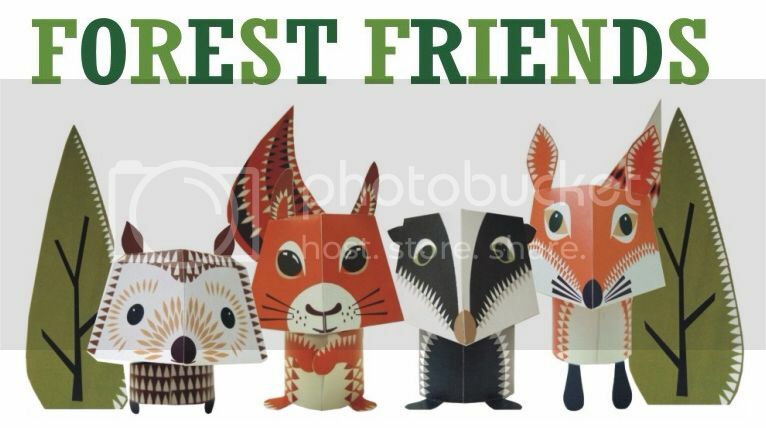 My favourites are their greeting's cards that you can cut, fold and make your own little 3D animal. 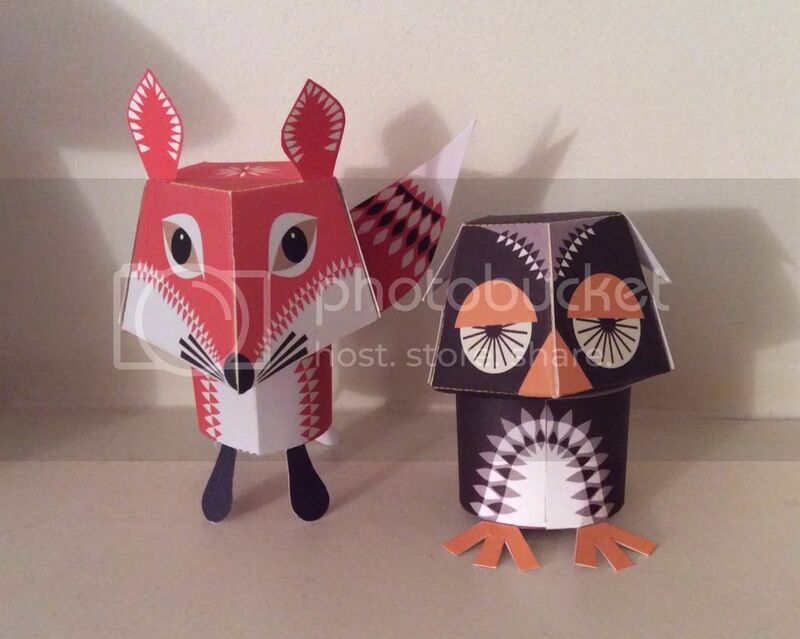 I recently bought a Fox and an Owl to make at home, I love them! 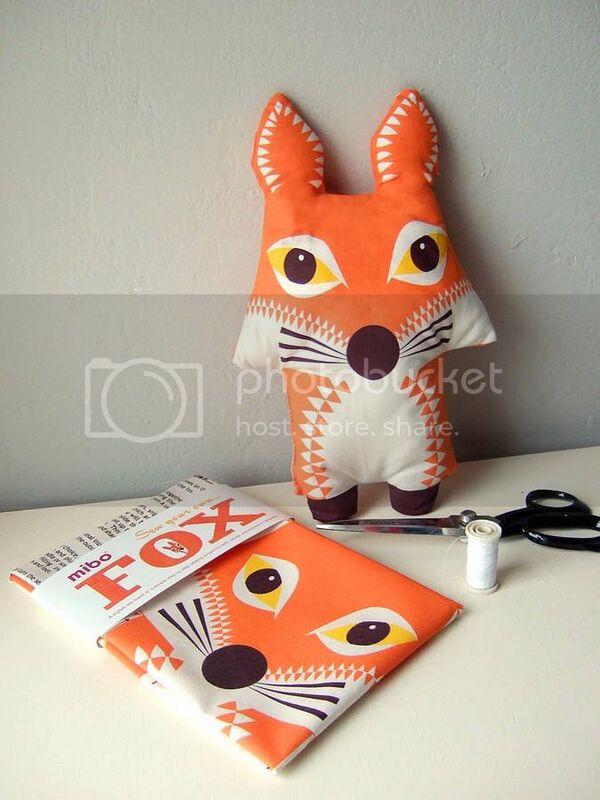 I also have the fox tea towel that you can cut up and make into a cushion - I'm looking forward to making that one crafternoon. 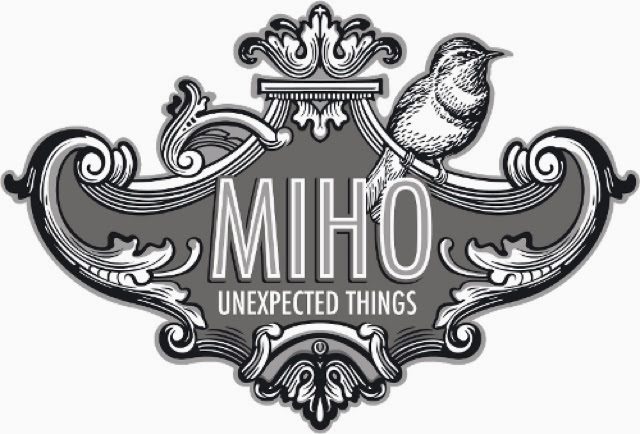 Now with a similar name and theme, another favourite: Miho Unexpected Things. I have been selling these at work for a couple of years now, and they still remain one of my favourite products. 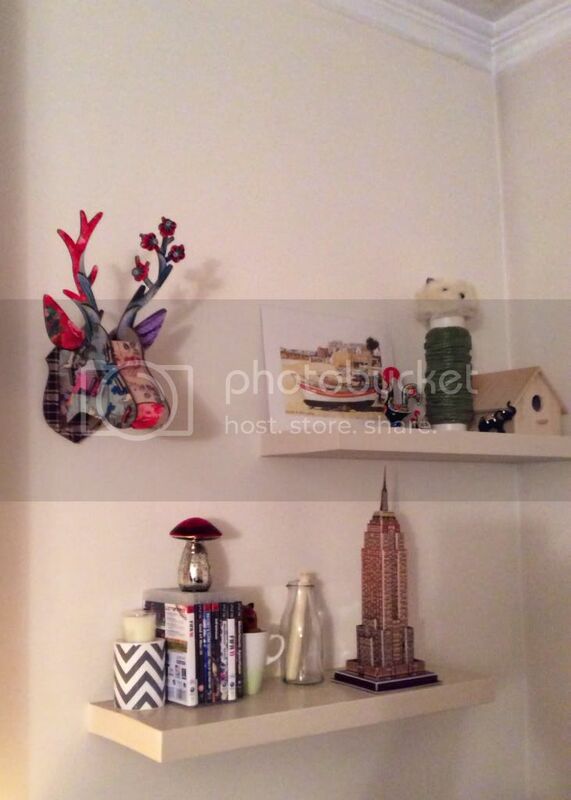 I have one of the deer heads on my living room wall, it's a coated MDF that comes flat packed but slots all togather. What I love about seeing Miho at tradeshows is seeing the whole range of their products all together. 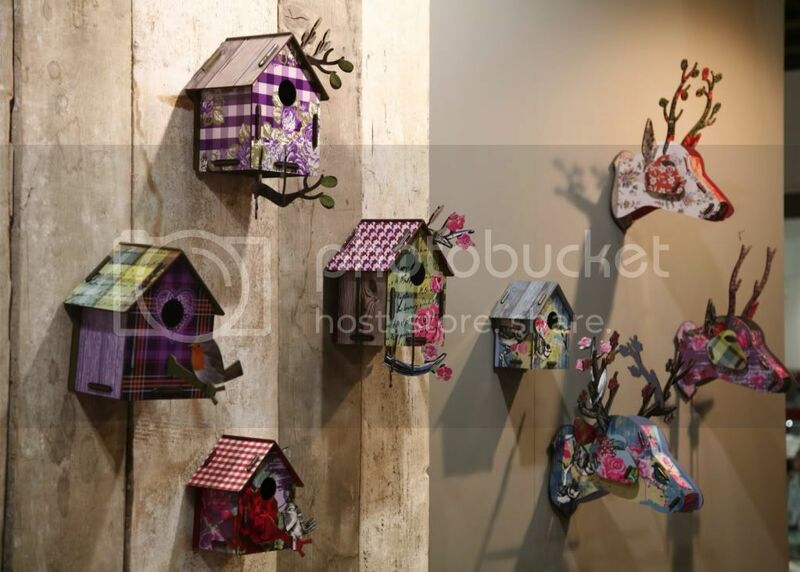 There are so many different designs, sizes and some new additions to the collection such as bird houses, branches and even horse heads. I'm looking forward to the next trade show already!